First Indian luxurious fast train 'Deccan Queen' started from Victoria Terminus (CST) to Pune. The Deccan Queen or Deccan Queen Express is an Indian passenger train that connects the two largest cities of the Indian state of Maharashtra, i.e Mumbai and Pune. The service was named as Deccan Queen after the nickname of the Pune city for been the beautiful city in the Deccan plateau region. 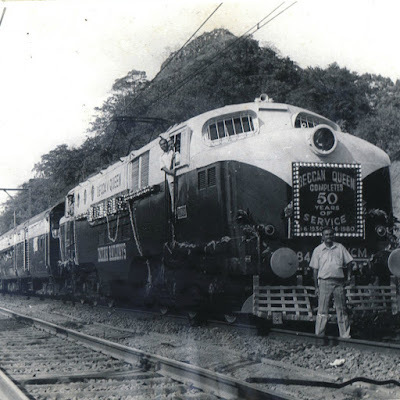 The Deccan Queen train gears up for its 88th birthday on June 1 and commuters will be treated to a modified dining car with modern facilities and striking interiors. The Central Railway is currently working on the new dining car — to be attached in July — at a railway workshop in Mumbai. Harsha Shah, now in her sixties and the president of the Railway Pravasi Group, first took a ride of the Deccan Queen when she was seven. The Deccan Queen runs regularly between Pune and Mumbai, frequented by regular office goers who commute between these two cities daily. The dining car has a capacity for 32 passengers with a modern pantry and furnished kitchen. Cushioned chairs and carpets are made available for a comfortable journey to passengers with both vegetarian and non-vegetarian menu on offer. Over the years, the train has gone through several changes with increasing number of passengers. Currently, the Deccan Queen can seat 1,417 passengers in total.